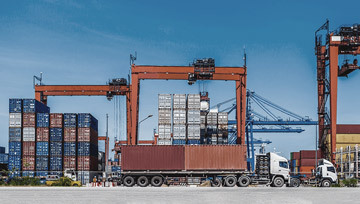 Exporting can involve as simple an operation as trucking a small shipment across the border, or multiple ocean containers of products to all points around the world taking several weeks or months, or flying your product by air around the world arriving at its destination in a few days or weeks. PCB Freight Management's dedicated team can administer your export documentation and arrange the transportation of your goods by air, ocean, truck and rail. To learn how our transportation solutions can help you open the door to export opportunities, speak with one of our logistics specialists today.